This post is sponsored by Just Hemp Foods. 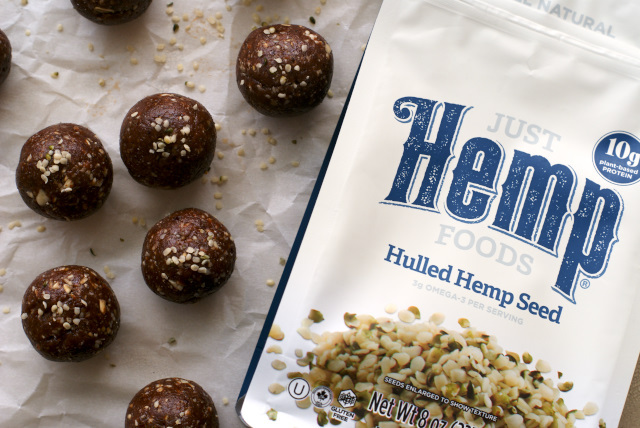 Hemp Seed Super Balls are full of nature's super foods, like hemp seeds, raw almonds, rolled oats and dark chocolate, making them a super healthy snack! If you've been following my blog for a while now, you know that I love making little energy balls to keep on hand for healthy snacking. Most recently, I made my Coconut Fudge Balls that were absolutely delish. Oh, and then there's my fave Carrot Cake Oatmeal Bites. And my other fave Chocolate Cranberry Almond Oatmeal Bites. I seriously just love them all! 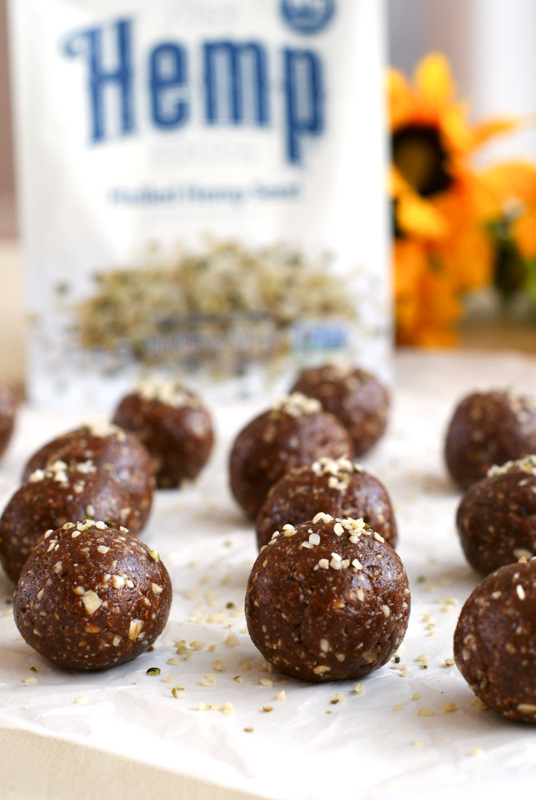 The newest addition to my collection of energy ball recipes is this Hemp Seed Super Ball recipe. Why do I call them super balls? Because they are chock-full of super foods! Every bite is packed with naturally healthy goodness! 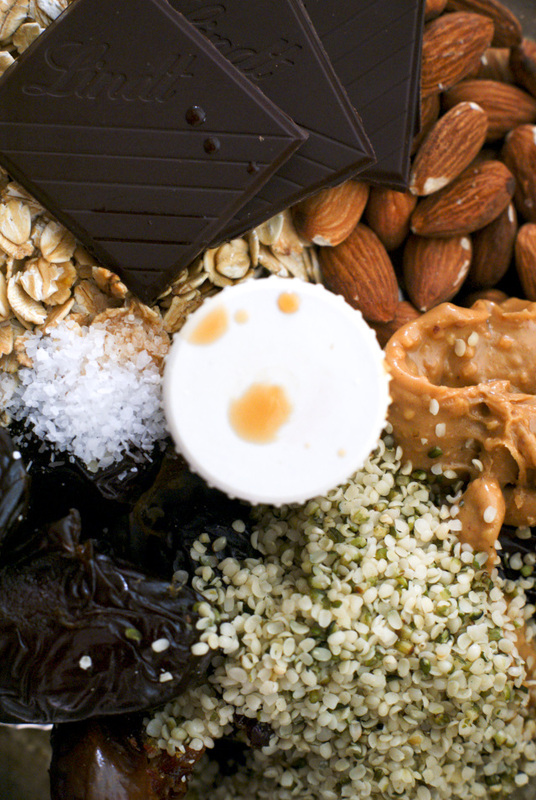 Both the almonds and the dark chocolate are full of antioxidants, and the rolled oats are super heart healthy. The dates add natural sweetness to the recipe and the peanut butter is packed with protein. My very favorite super food in this recipe, though, is the hulled hemp seeds. If you haven't tried them, you must! Hemp seeds are a fabulous source of plant-based protein and they are full of healthy omega fatty acids. No to mention that fact that they are really yummy! They have a light nutty taste that pairs well with sweet or savory dishes. Seriously, try them. They are amazing. Keep these tasty healthful bites of super food goodness in your fridge or freezer and enjoy anytime you want a little bite of something sweet or when you need a little power boost! Place all of the ingredients into your food processor. Process for 2-3 minutes, or until mixture can easily be shaped into balls. Using your hands roll into 1-inch balls. Store in the refrigerator. For the chocolate, I used 4 squares Lindt 70% EXCELLENCE Bar. 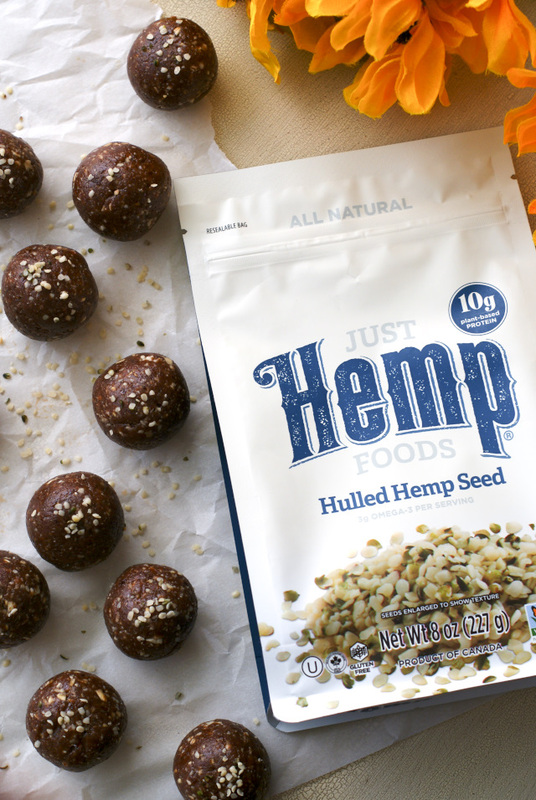 As a participant in #Choctoberfest with Imperial Sugar, I was provided with products from Just Hemp Foods. All thoughts and opinions are, as always, 100% my own.